The Naughties are basically a gray version of The Smurfs which comes from original lore of the creatures. Gosnell explained, "Smurfette was a lump of clay that Gargamel put in his cauldron and he painted her blue as a disguise. Using that as a jumping off point, our Naughties are basically clay gray.” Hank Azaria is back as Gargamel who finds himself using "his wizarding powers to become a hit entertainer in Paris, where he hopes to use the Eiffel Tower as an energy-generating antenna that will allow him to return home." The Naughties will somehow help him do that, but they're not exactly straight up bad guys. You'll have to wait and see how that plays out when the sequel, which also sees Neil Patrick Harris and Jayma Mays back with a child of their own, hits theaters next summer. Thoughts? "Their own piracy" not "they're own piracy".Unless you are trying to say that they are their own piracy. Grammar nazi out. hollywood is all about the money.. not the movie. Really smurf 2? Sigh. Trolls 2 has a much higher entertainment value. 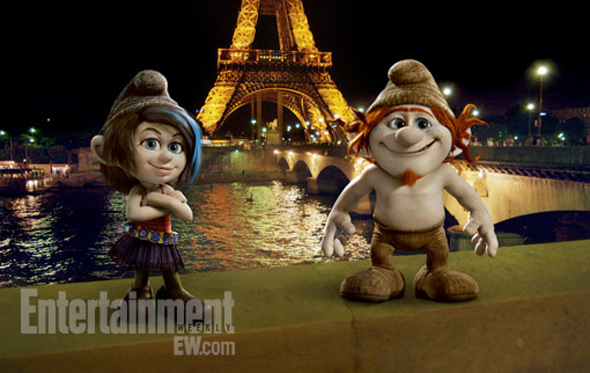 I hope if it's a part 3, they have Gremlins in it and they kill off all the Smurfs!